FX has given Ryan Murphy, Brad Falchuk, and Steven Canals’ new series Pose an eight-episode season one order. The series is described as a dance musical and features the “largest cast of transgender actors in series regular roles and the largest recurring LGBTQ cast ever for a scripted television series,” according to FX. The series announcement was accompanied by the first photo of Indya Moore as “Angel,” as well as an updated cast list. Filming will take place in New York beginning in February 2018. FX expects to premiere season one next summer. Murphy, Falchuk, Canals, Nina Jacobson, Brad Simpson, Alexis Martin Woodall, Sherry Marsh, and Erica Kaye serve as executive producers, with Murphy directing episodes one and two. Murphy, Falchuk, and Canals wrote the series. 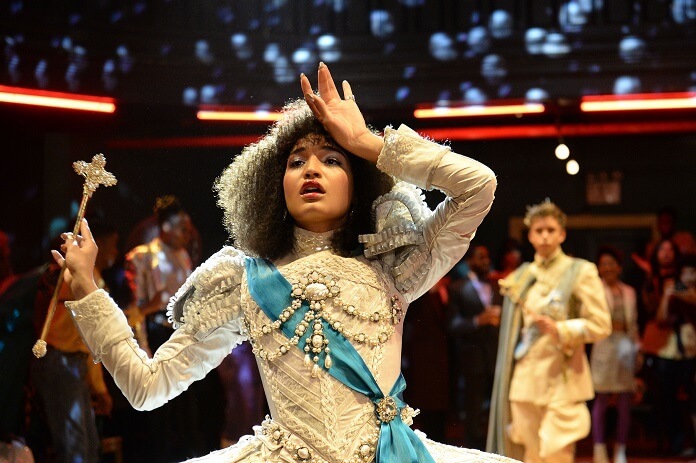 Pose is produced by Fox 21 Television Studios and FX Productions. FX had previously announced Orphan Black‘s Tatiana Maslany would take on a role in the series. They’ve confirmed that character was “re-conceived and re-written to be a 50-year-old African-American woman.” The Leftovers‘ Charlayne Woodard has joined the cast in that role. The Plot: Set in the 1980s, Pose looks at the juxtaposition of several segments of life and society in New York: the rise of the luxury Trump-era universe, the downtown social and literary scene and the ball culture world. The transgender cast includes MJ Rodriguez, Dominique Jackson, Indya Moore, Hailie Sahar and Angelica Ross. Pose also co-stars Tony Award® winner Billy Porter as well as newcomers Ryan Jamaal Swain and Dyllon Burnside.